Die Lapa Skietfontein: Relax in a peaceful environment at Die Lapa Skietfontein or partake in some team building exercises for a group. Die Lapa Skietfontein specializes in outdoor events and will customise your team building event or holiday to your liking. We offer one beautiful fully equipped honeymoon house and 25 Wooden Units with two double bunk beds in each. 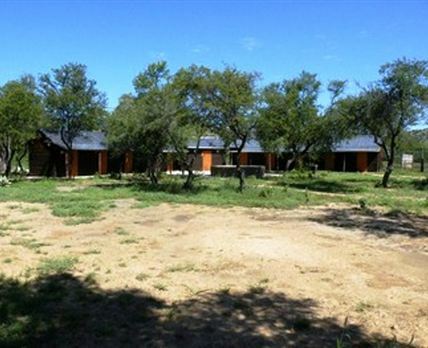 There is a well-appointed kitchen with a braai and spit facilities, or meals can be arranged on request. There is a large hall where all meals are served and a pool table for some fun entertainment. Functions are also held in the hall. Activities include 4×4 trails, game viewing, hiking trails, biking trails, horse riding, quad biking, swimming, paintballing, obstacle courses, catty shooting, abseiling and a big swing. Click here to enquire at Die Lapa Skietfontein.